Lithuania is taking the lead in the EU’s antitrust case against Gazprom, which could fine Russia’s biggest gas supplier more than $10 billion, according to the Russian Ambassador to the European Union, Vladimir Chizhov. “It was Lithuania, that was made public, and they were making some very outspoken statements on that score, boasting of a success that they had achieved with the launch of this investigation. Which of course leaves the impression that the whole affair was political from the outset,” the ambassador said in an interview with Euroactiv. Chizhov has served as Russia’s ambassador to the EU since 2005, and before that, he was Russia’s Deputy Minister of Foreign Affairs. “On the other hand, what puzzled me from the beginning was that the whole case was initiated not by some economic entities, not by EU-based energy companies which could have theoretically complained about those contracts, but by the government of a member state which was at that time involved in arbitration with Gazprom,” he said. Lithuania is one of the countries in which Gazprom is under investigation for alleged price gauging, along with Poland, Bulgaria, Estonia, and Latvia. The antitrust case will also investigate the market dominance in these five countries as well as the Czech Republic and Hungary. The other claim relate to Gazprom's alleged prevention of gas flow against borders and it using its near monopoly on gas pipelines across Europe. In all of Europe, Lithuania pays the most for Russian gas, according to various estimates. In 2014, the price to the Baltic States averaged $425.9 per 1,000 cubic meters, TASS reported. Gazprom itself doesn’t make its prices for individual countries public. The average price for Gazprom charged non-CIS countries for Russian gas in 2014stood at about $340 per 1,000 cubic meters. Most of the countries involved in the antitrust case either get all or almost all of their natural gas from Russia. Previous gas disputes with Russia, notably in 2006 and 2009 when deliveries via Ukraine were shut off, are pushing the Commission to create an Energy Union, where imports to Europe would be set at one price for all members. The EU officially brought the case against Gazprom on April 22, 2015 after an investigation was opened in September 2012. 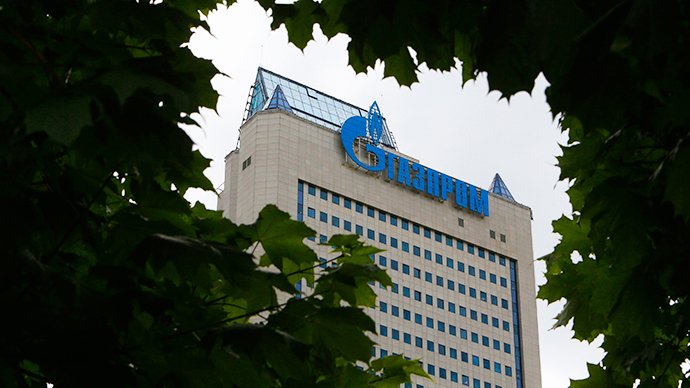 In September 2011, several Gazprom offices in the EU were raided. Gazprom dismissed the charges as “groundless” and has 11 weeks to respond to the claim and call a hearing. If a settlement isn’t reached, the European Commission can fine the gas supplier 10 percent of its annual sales, so the EU could hit Gazprom with a fine of more than $16 billion, based on the company’s 2014 revenues of $164.62 billion. Relations between Brussels and Moscow have been frosty since the Ukraine conflict broke out in late 2013. Sources within the EU said that even though the antitrust case was prepared last summer, the EU Commissioner José Manuel Barroso put the brakes on the case, worried it would interfere with a diplomatic solution in Ukraine. On December 1, while on a trip to Turkey, Russian President Putin announced that Gazprom was no longer going to build the South Stream pipeline through Europe, and instead, would pursue the Turkish Stream project to deliver gas to Europe’s borders via Turkey. Putin blamed the failure of South Stream on the European Commission.